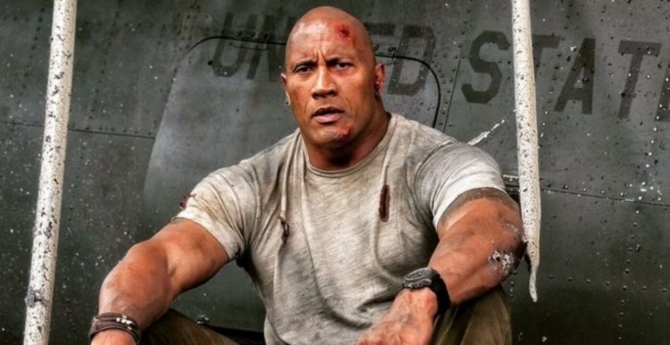 Not everyone’s going bananas for Rampage, the new arcade game-inspired monster flick starring Dwayne “The Rock” Johnson. And it turns out the Cinemaholics are just as divided. Is it a fun action blockbuster, or just a boring waste of your time? Tune in to find out where we stand on this world tour of destruction and why. Elsewhere in the show, we cover some of the Netflix controversy coming out of Cannes Film Festival, and Jon briefly continues coverage on a few movies from the San Francisco Film Festival, including Leave No Trace, Sorry to Bother You, Eighth Grade, and The Guardians. In terms of Mini Reviews, we tease the new Netflix series Lost in Space, a sci-fi family adventure based on the original 1965 series, while Will discusses the new HBO feature Paterno, starring Al Pacino. Finally, there’s a double mini review for You Were Never Really Here, a new Lynne Ramsay film starring Joaquin Phoenix, and Lean on Pete, an A24 movie starring Charlie Plummer and Steve Buscemi.